I've just discovered that, at some point this evening, this blog received its 20,000th visit. What's more, not all of the visitors are my family. So, amidst the hearty self-congratulation I must say a big thank you to all who continue to visit the blog and who put up with the tosh that's written here and thanks also to those who take the time to add their comments, even to ELV-loving Australians :). 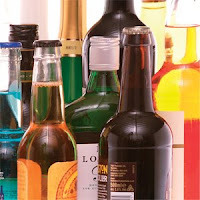 A virtual drink for each and every one of you. Yo Flanker, greetings from snowy northern Minnesota-that's right, we got 12 inches of the white stuff at the Spanish Language for Health Professionals camp I am at. Good thing I am here until Monday, because nobody can drive anywhere right now. I envy you that you can at least have a stiff drink or two for your rugby club function. Where I am at, you cannot have alcohol here...have fun. Thanks for keeping such a great blog. I really enjoy checking out your coverage of the beautiful game. Cheers! Thanks for your kind words chaps - I've always been full of crap about rugby so having somewhere to dump it all is a great release! 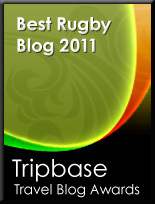 PS - will include Eskimorugby in my blogroll.